It is that time again. Holiday schmoozing time. But thankfully social media has provided another road for all of us to mix it up with face-to-face interactions. In fact, many career moves and business deals get hatched during this holiday time that everyone assumes is a dead zone. 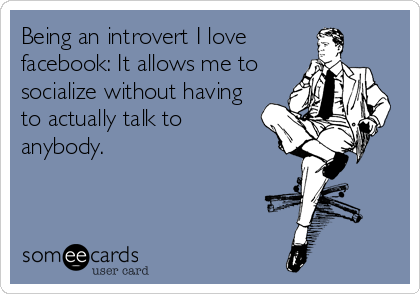 I recently shared some thoughts about how introverts use social media to be whizzes at networking. In her post for EasilyDo.com a blog associated with a new productivity app reporter Cassie M. Chew did a great job of summarizing our conversation in a post titled Networking for Introverts-A Guide for the Holidays. ” In a world where ideas and outward displays of energy are currency, the extrovert seems to have the upper hand at navigating the workplace and their careers. But successful networking through social media can help level the playing field for introverts, says Jennifer B. Kahnweiler, author of Quiet Influence: The Introvert’s Guide to Making a Difference. Kahnweiler says it’s important for everyone to cultivate a social media presence. With their preference toward thinking before speaking and written communication, introverts should take advantage of social media networking to meet new connections, share their great ideas and make a name for themselves in their professional and personal communities. “Getting involved in an online conversation gives you credibility and helps establish you as a someone who’s got a point of view” she says. At its core, networking is about giving and sharing, Kahnweiler says. So the first thing an introvert should do is to establish a goal for his or her interactions and develop a strategy on how to develop and deliver content that has value their connections. To keep it from feeling overwhelming, start small. “Pick one or two groups and start getting into the conversation,” she says. This entry was posted in Uncategorized on November 29, 2014 by Jennifer Kahnweiler.